My very first golden arrived on June 12th, 1983. I had always wanted a golden and the moment I signed the purchase agreement for my own home I set about locating one. Her breeder drove her out from Calgary and life has never been the same. 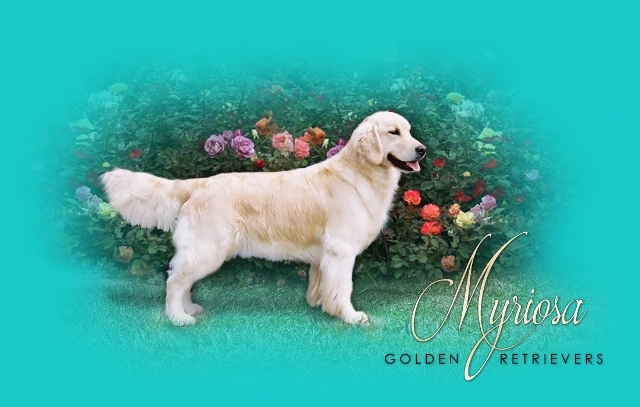 I got CJ – Wiloras Calamity Jane CDX hoping to compete in obedience but mostly as a companion. I started classes and became hooked on goldens and obedience. Then I met the breeder of my next three goldens and got involved with everything else goldens love to do. Now I teach obedience and tracking for the obedience club I started with, show my own dogs in all sorts of events and have the occasional litter when I am ready for a new puppy. 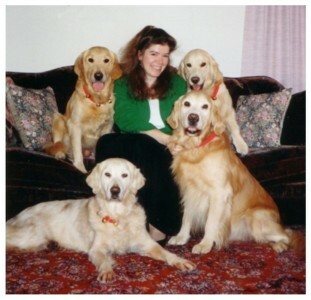 I am actively involved with the Greater Victoria Dog Obedience Training Club, a lifetime member of the Canadian Kennel Club, and a member of the Golden Retriever Club of British Columbia (GRCBC), Golden Retriever Club of Canada (GRCC) and the Golden Retriever Club of America (GRCA). None of the dogs on these pages have ever been trained with an electronic (shock) collar and I very strongly believe it is an inappropriate use of force, particularly with puppies, and that it permanently effects their temperament. Unfortunately, there are those who simply must win at any cost and who will use any means available to make that happen. Therefore it has become necessary to specifically list the shock collar in my sales contract as a reason for immediate return of the dog. If you use this as a training method please do not enquire about a puppy from me.